Dave Senft has a very unique title within Rawlco Radio: Vice President Emeritus of Engineering. You have to be very special, and accomplished, to earn such a title; Dave is all that and more! Dave has been in radio for a very long time – and still currently works full time for Rawlco. Rawlco engineering staff will often say Dave has forgotten more about engineering than they will ever know! In early 1966, while under contract, Dave built and commissioned Regina’s first FM station. Later that year, when the assets of CJME were purchased by Gordon Rawlinson’s father, E.A., Dave was appointed CJME’s Chief Engineer. In the early 80s, Dave put Rawlco’s first Regina based FM station Z99 on the air. With radio stations in Prince Albert, North Battleford, Meadow Lake, Regina and Saskatoon, as well as a new license in Calgary, Dave became Director of Engineering for Rawlco. In the years that followed, new FM stations were added in those markets. Dave, as Vice President of Engineering, was the technical mastermind behind it all. In 1987, Rawlco expanded to Ottawa and then to Toronto in 1992. Renovations and new radio stations kept Dave hopping….as well as the addition of second FM stations in Saskatchewan and repeaters. In more recent years, Dave oversaw the addition of new FM stations in Edmonton and Calgary. Aside from the 24/7 demands of the life of a broadcast engineer, Dave has been active with audio visual services for houses of worship and annual conventions for the Christian Congregation of Jehovah’s Witnesses. He’s a loving and devoted husband to June. Together they have two children: Rhonda and Darcy. As part of Dave’s amazing journey in radio, he raised not only a wonderful son, but Darcy is currently Rawlco’s Vice President of Engineering. His daughter-in-law Michelle is Rawlco’s Traffic Manager. For all his accomplishments, past and present, the SAB is delighted to induct Dave Senft into the Saskatchewan Association of Broadcaster’s Hall of Fame. Bill Wood was born in Saskatoon and spent part of his youthful years with his family in Prince Albert. His entrance into the radio business began in 1973 with CKBI. A year later, Marv Chase, recognizing Bill’s natural on-air talent and enthusiasm, invited him to join the team at 1420 CJVR AM in Melfort. Bill began as afternoon announcer but was soon doing the CJVR breakfast show and became the station Music Director and Program Director. Throughout his forty-plus years, the Melfort radio operations saw many positive changes, most of which relied heavily on Bill’s leadership qualities. In 1995, CJVR moved to 750 on the dial accompanied by a power increase. In 2002, CJVR AM flipped to FM and the heritage AM station became known as CK750. Bill and our popular country music format moved to the new CJVR FM station where, to this day, he continues to host the morning show. Under Bill’s direction, CJVR was recognized four times as Canadian Country Music Secondary Market Station of the Year. The station has been honored by the Saskatchewan Country Music Association proclaiming CJVR as Saskatchewan Country Radio Station of the Year an unprecedented eighteen times. Bill has been selected as SCMA On-Air Personality of the Year. On-air programs developed by Bill such as CJVR’s “Canadian Coast to Coast” and “Saskatchewan Country Sunday” have been named Radio Program of the Year twice by the CCMA and at least six times by the SCMA. In his 40 plus years with CJVR, Bill has done more than 11,000 on-air shows (and likely 1,000 on-location remotes) so it is no surprise that the legendary Bill Wood has become a household name with generations of listeners in not only Melfort, but in the other 100 communities that our stations serve throughout northeast and central Saskatchewan. Bill’s love for the radio business is equaled by his love for his community. For his outstanding efforts and commitment, he has been recognized with numerous community awards over the years. Bill’s passion for radio has played an integral role in kick starting the careers of many of our industry’s players who got their start working under Bill. He is an excellent mentor and continues to work at developing young new on air talent for today’s radio. Vic Dubois spent his first six years in radio, 1969-1975, in B.C., three years each at CFBV, Smithers, and CHWK, Chilliwack. 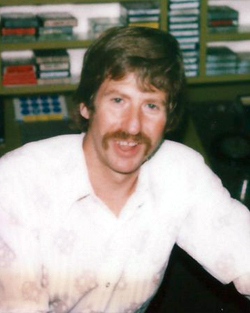 In 1975 he crossed the Rockies to join CKGY, Red Deer as Program Director. Five years later he left for CHQR, Calgary. In 1983, Vic went to Saskatoon as Program Director at CJWW, returning to the airwaves as morning man in 1984 and continuing in both roles until 1990, when he was promoted to General Manager. In 1993, Vic became Vice-President of Forvest Broadcasting, which at that time owned CJWW Saskatoon, CKCK and CKIT-FM Regina. CFQX-FM Winnipeg, CIRK-FM Edmonton and CKST Vancouver. In 1994 Forvest purchased Saskatoon’s oldest station, CFQC 600, and flipped it to FM. 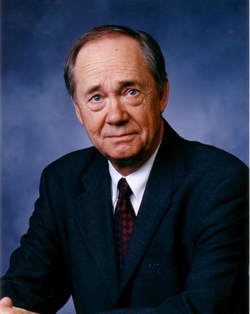 By 1998 Vic was President & CEO of Forvest and the company had sold the Vancouver, Edmonton, Regina and Winnipeg stations, keeping CJWW and CFQC-FM . In 2000 Elmer Hildebrand obtained a new FM licence for Saskatoon (CJMK-FM) and in 2001 purchased CJWW and CFQC-FM from Forvest. 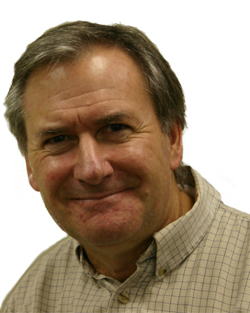 Vic stayed on as General Manager of the three stations (Saskatoon Media Group). Vic’s has twice been President of the Saskatchewan Association of Broadcasters where he still serves as Treasurer. 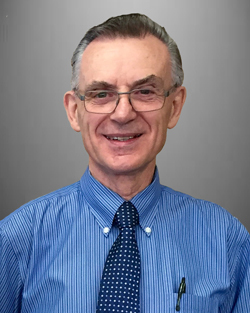 He is also a Past-President of the Western Association of Broadcasters and been an adjudicator for the Canadian Broadcast Standards Council for many years. Vic is President of the CJWW Denny Carr Secret Santa Foundation, a registered charity that provides food and toy hampers for needy families, a Director of the Saskatoon Rotary Club, a civilian member of the Canadian Forces Liaison Council, a Past-President of Tourism Saskatoon, The Saskatoon Club, TCU Place (Saskatoon’s Arts and Convention Centre), and Prairieland Park (Saskatoon’s Exhibition Association). 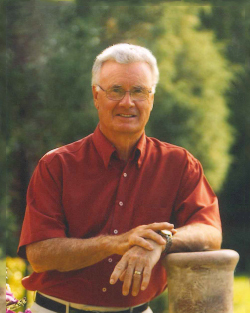 He is a recipient of the Saskatchewan Volunteer Medal, City of Saskatoon Distinguished Service Award, Tourism Leadership Award, and is a Rotary Paul Harris Fellow and Honourary Life Member of the Lions Foundation of Canada. Vic still keeps his hand in on the air by writing and voicing daily editorial commentaries and hosting a weekly 4-hour Oldies show on CJMK-FM. CEO – Golden West Broadcasting Ltd.
Elmer started his broadcasting career as a copywriter with Golden West Broadcasting in March of 1957. He became General Manager in 1965 and under his leadership, the Company has grown from two AM stations in Altona and Steinbach, to a chain of 40 AM & FM radio stations and 18 online portals across the prairies. Throughout this time, Elmer has served on the board of almost every broadcast related industry in the Country, to the point where now he is respectfully referred to as “Senator” in most broadcast circles. 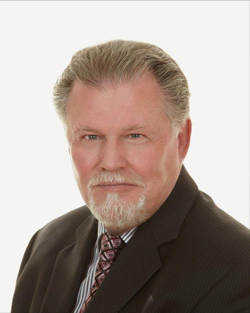 Currently Elmer serves on the boards of Golden West Broadcasting Ltd., The Banff Centre, Manitoba Blue Cross, Triple E Canada, and he is President of Elmer Hildebrand Ltd.,and Elmer Hildebrand Communications Inc., a company that operates three radio stations in Saskatoon. Golden West Broadcasting & Elmer Hildebrand were selected as one of Canada’s 50 Best Managed Companies in 2005 and requalified in 2006. At the local level Elmer has been a strong supporter of communities across Southern Manitoba and especially so in his hometown of Altona. Elmer was the driving force in building the first shopping mall in Southern Manitoba. He is also involved with housing developments and the economic development and establishment of the Industrial Park in Altona, as well as fund-raising for the Millennium Recreation Complex in Altona. He is currently Chair of the Capital Fundraising campaign for the Canadian Mennonite University, where the goal is to raise $13 million for a new Library and Overpass on Grant to connect the two campuses. J. V. “Jim” Scarrow, S.O.M. Vice President and General Manager 900CKBI, POWER99fm, and MIX101 Prince Albert. Began career in 1953 as part time Sunday morning announcer and spent the next 53 years with Rawlco in Television, AM/ FM radio and Cable TV. Jim raised millions of dollars for community projects and was producer of Kinsmen TeleMiracle for seven years. He was named to the Canadian Association of Broadcasters Hall of Fame in 2003 and Saskatchewan Association of Broadcasters Hall of Fame in 2012 . He is one of the few Canadians to be honored with each of the Queen’s commemorative medals for community service -the Silver, Gold and Diamond Jubilee Medals. In 2006 he was named a recipient of the prestigious Saskatchewan Order of Merit. His wife Helen, also a Broadcaster, was a commercial writer for radio and television. He served two terms as Mayor of the City of Prince Albert. Denny was born in Vancouver and spent his early years in Quesnel B.C.,where he started work in Radio. His natural talent moved him to Williams Lake, Lloydminster and eventually CFQC in Saskatoon, where he spent 17 years with partner Wally Stambuck. After years with many partners at CFQC he moved to partner with Rod Kitter at CJWW until his death, of cancer, in 1999. Denny volunteered for RUH Foundation, Elmwood lodge, selling apples for the Kiwanis dressed as a clown, walking in the Riversdale Walkathon and hundreds of banquets and fundraisers as the emcee. His biggest accomplishment was creating Secret Santa to assist the Salvation Army supplying toys at Christmas to kids. He accepted humbly, the B’nai Brith award and Canada’s highest honor, the Order of Canada for his contributions to better peoples lives in Saskatoon. In honor of his life work, in 2000, the CJWW Denny Carr Secret Santa Foundation was formed to ensure that “every child receive a toy at Christmas”. That commitment was expanded to include food hampers in 2006. George Gallagher joined CJGX Yorkton in October, 1947 as the morning announcer. In 1950, he moved to help set up CKDM, Dauphin, MB., and handle sales and news. By 1957, George was back at CJGX as Commercial Manager after also spending some time at CJOB Winnipeg . In 1960 he became Manager of CJGX and in 1966 George, along with two other senior staff members, bought the station. 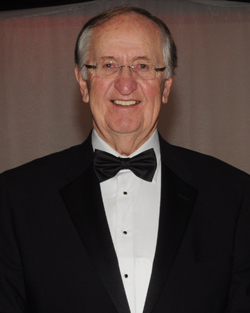 In 1969, George became President of Buffalo Broadcasting Co., which was incorporated to purchase CKRM Regina in 1970. George was also President of Yorkton Broadcasting Co., which owned CJGX. Buffalo Broadcasting sold CKRM Regina to Harvard Broadcasting in 1981. In 1989 George became sole owner of CJGX. In 1991, the QC Radio Limited Partnership purchased CFQC Saskatoon, which was subsequently sold to Forvest Broadcasting in 1994. In 2007, CJGX marked its 80th year and George, by now the former owner, noted he had spent 56 of those years affiliated with the station.